London is well known for its music and dance. It has one of the most famous theatre scenes in the world, with more than 50 Theaters in West End, which offers productions ranging from Shakespeare and classics to modern authors that are in vogue. 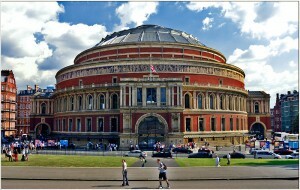 Traditional opera is staged at the Royal Opera House and the opera performances in English are staged at the Coliseum. Both host also ballet performances. Another well-known dance theater is Sadler’s Wells which is one of the most famous in Europe. London has numerous concert halls for classical music from the great scenes, as it is Royal Albert Hall, to the intimate scenes like Purcell Room in South Bank Centre. Regardless of the preference, London offers a wide assortment of cultural venues. The full list of clubs and live music concerts appears in Time Out, a magazine published weekly. This also includes information about relevant artists, bands and concert halls plus guides that contain film performances, theater, dance, art exhibitions and other events in the city. The important newspapers also contain the schedule of the cultural and theater events in the entertainment pages and in the Saturday and Sunday supplements the events are discussed fully in the reviews. The Evening Standard newspaper in London is focused on the capital, with a complete guide of events in the Thursday supplement. London is famous worldwide for its high standard of theater productions, and most tourists want to see at least one play. More than 50 theaters make up the Theatre District in West End, and in addition to this, there are also numerous other theaters that are worth a visit. In the summer, you can enjoy productions put on stage in Regent’s Park and Holland Park. Tickets can be booked at the theater box office or other agencies and to this regard there are recommended Ticketmaster (phone number: 0870 534 4444) or First Call (phone number: 0870 906 3700). You must be aware of the high fees charged by agencies. TKTS, the ticket office in Leicester Square sells half-price tickets for the same day performances in theaters. It is not recommended to buy tickets from the black market as they can be forged. Many of the West End theaters show famous musical performances that are played in several seasons (Les Miserables, Phantom of the Opera, The Sound of Music). Here you can see Shakespeare’s plays and his contemporaries as they were meant to be seen outdoors without sound amplification, in daylight (or artificial daylight). In the area where spectators can stand up and eat food during performances, the audience is allowed to tease the actors, as they did in the original Globe Theatre, during Shakespeare’s time. Here, you can have a lot of fun, but keep in mind that the Court is not covered and umbrellas are not allowed. Rebuilt in 1997, it is the main stage of London, attracting internationally touring ballet dance and opera companies.